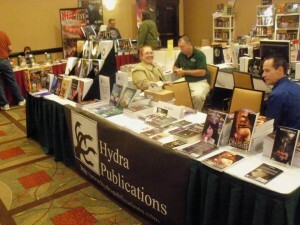 Hydra Games at Context Convention 2012! 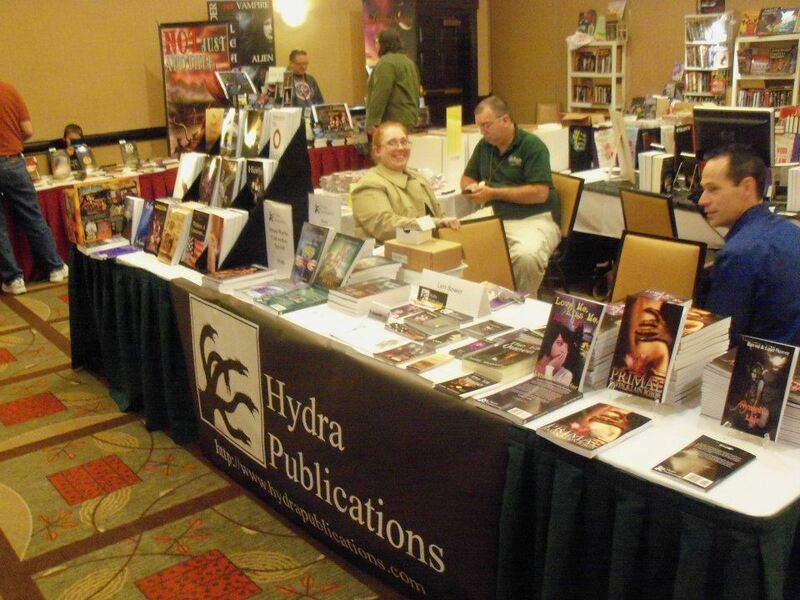 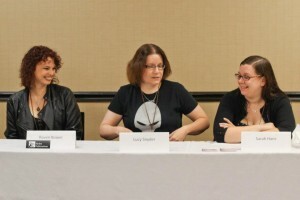 Posted by Raven Bower on October 05, 2012 in News | Comments Off on Hydra Games at Context Convention 2012! 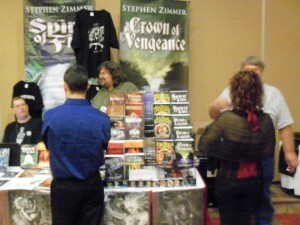 The above photo is the Seventh Star Press table with RJ Sullivan, Lain, Stephen Zimmer and I along with a staff member with a wonderful wealth of information on the days of yore (which is what we were discussing in this photo). 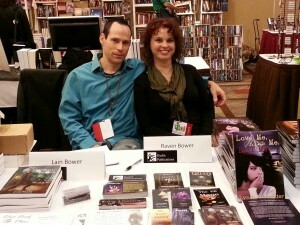 We also met L.E Modesitt! 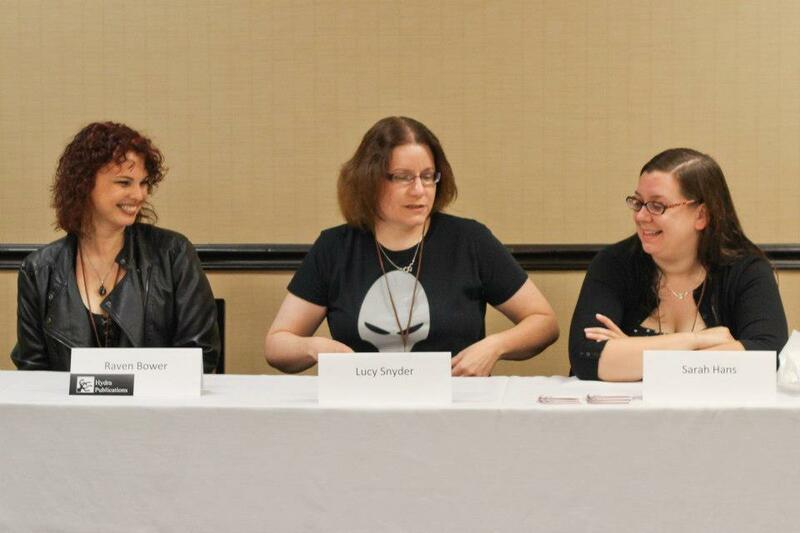 Live and in person! He graciously signed a copy of Imager’s Challenge for me and chatted for a while – that man’s brain must have an extra dimension in it to house all his knowledge! Can’t wait to see what’s on the Context agenda for 2013!